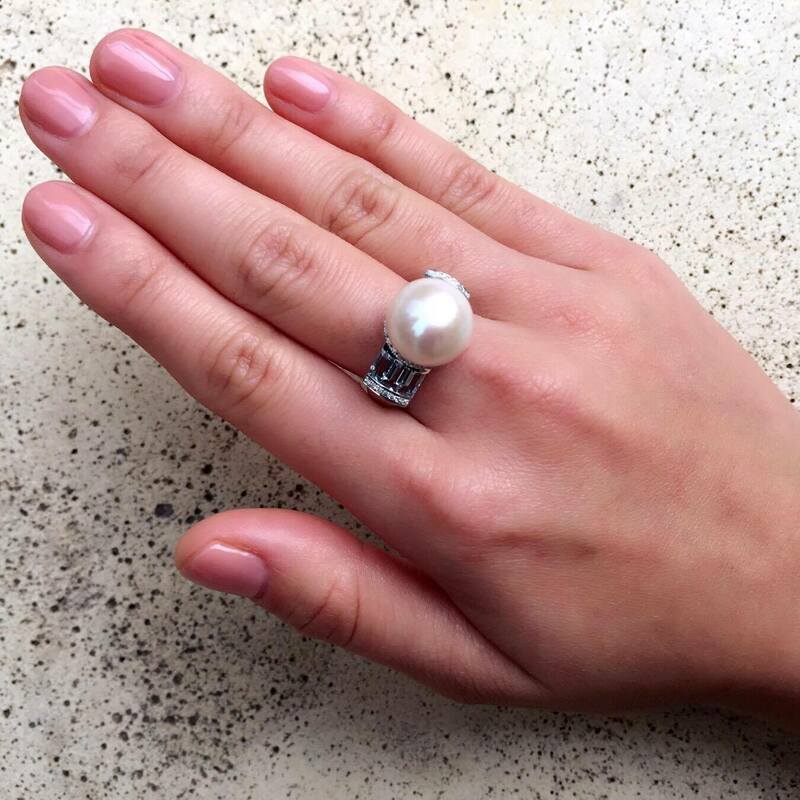 A new addition to the New York City collection, this show stopping cocktail ring features a 12mm white fresh water Pearl, set in 18 carat white gold. 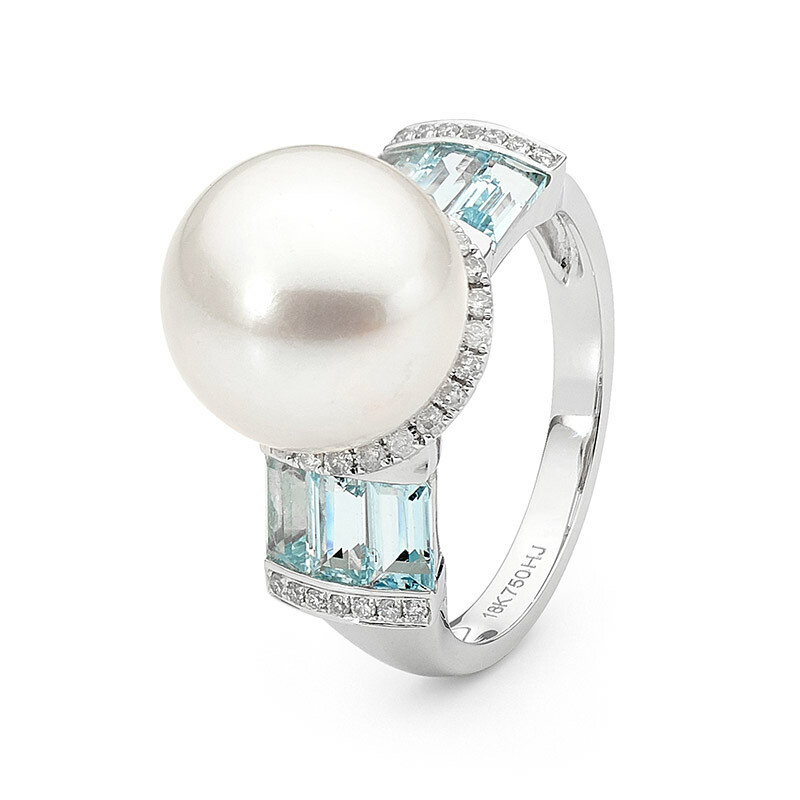 Complemented with light blue Aquamarine and a setting of brilliant cut pave Diamonds this ring is truly unique. This product can be engraved. To order engraving, add Engraving into your cart from here. Also, please email info@highlandsjewellery.com with instructions on what to engrave.